" This unit is amazing. It is easy to set up and above all it is very quiet. " " Love everything about this machine! Controls, Noise level, reliability, size, humidifier design, etc. Fantastic! Don't hesitate to buy! " 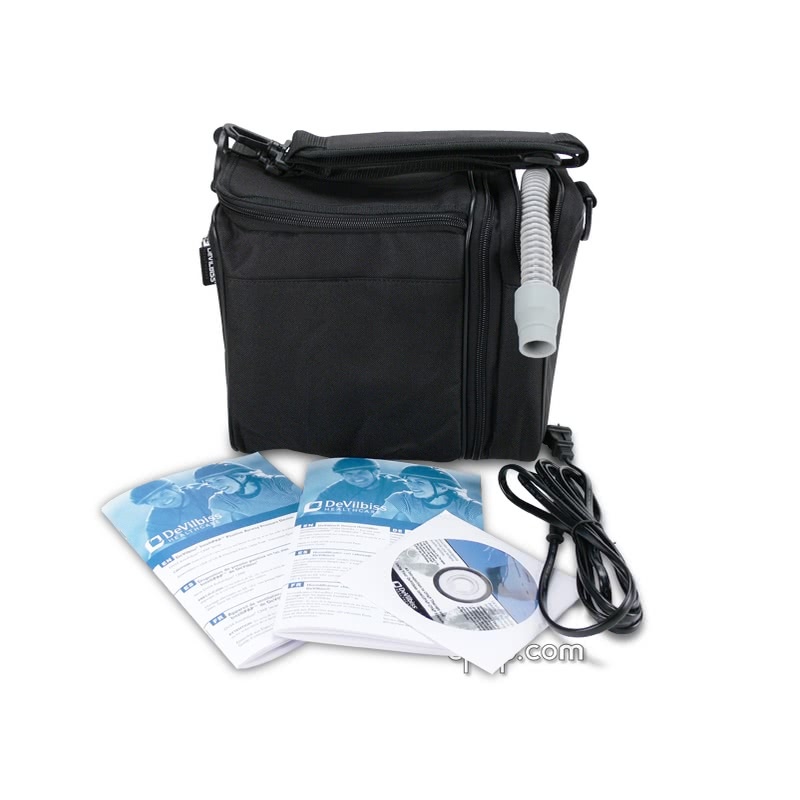 Save $23.99 on the Hybernite Rainout System when purchased with the IntelliPAP device. Select "Customize & Buy" to view the discounts. The IntelliPAP BiLevel is a versatile therapy solution for users with high pressure needs. Take advantage of adjustable IPAP and EPAP settings along with advanced reporting. Now with SmartCode, the IntelliPAP can generate therapy reports through the Internet. This unit is backed by a 5 Year industry-leading warranty and one of the quietest machines on the market. Powering the unit is achieved through docking with the BiLevel, eliminating the need for bulky power adapters or extra hoses. The IntelliPAP system is whisper quiet and is perfect to travel. The IntelliPAP BiLevel has the capability of smoothing the exhalatory to inspiratory breath-by-breath resistance to maximize therapy effectiveness. 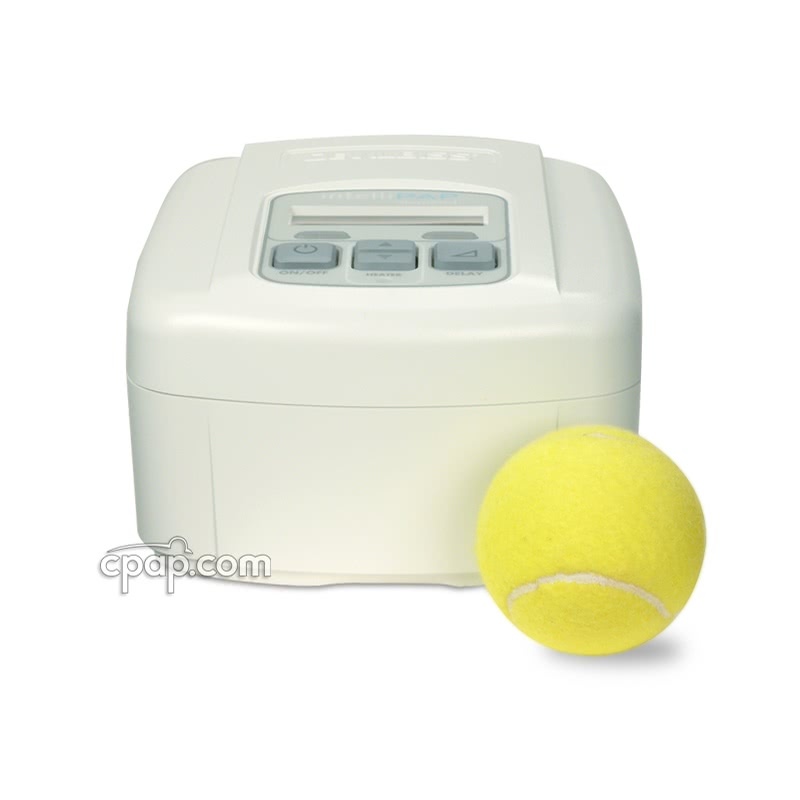 The IPAP and EPAP breathing patterns adjust based on a setting of Zero for no assistance and up to 5 for maximum. An advanced Ramp feature, Soft Start slowly increases pressure up to prescribed IPAP levels over a period of 10 seconds, improving overall acclimation. Altitude Compensation Automatic - maximum height 8,500 feet. DeVilbiss offers free firmware upgrades for the IntelliPAP Series of CPAP machines. For example, The AutoAdjust update allows existing owners to add SmartCode and SmartFlex technologies. You can check for the most recent firmware update here: Model DV5 Series Firmware Updates. Once you have downloaded the firmware software, use the IntelliPAP CPAP to PC Firmware Upgrade Serial Cable to upload your DeVilbiss firmware to the machine from your computer. The cable connects to the back of the CPAP and to any PC serial port on your computer. IntelliPAP users must have a PC serial port available for the firmware upgrade to work. The DeVilbiss software only supports a serial connection; USB-to-USB or other connections will not work. 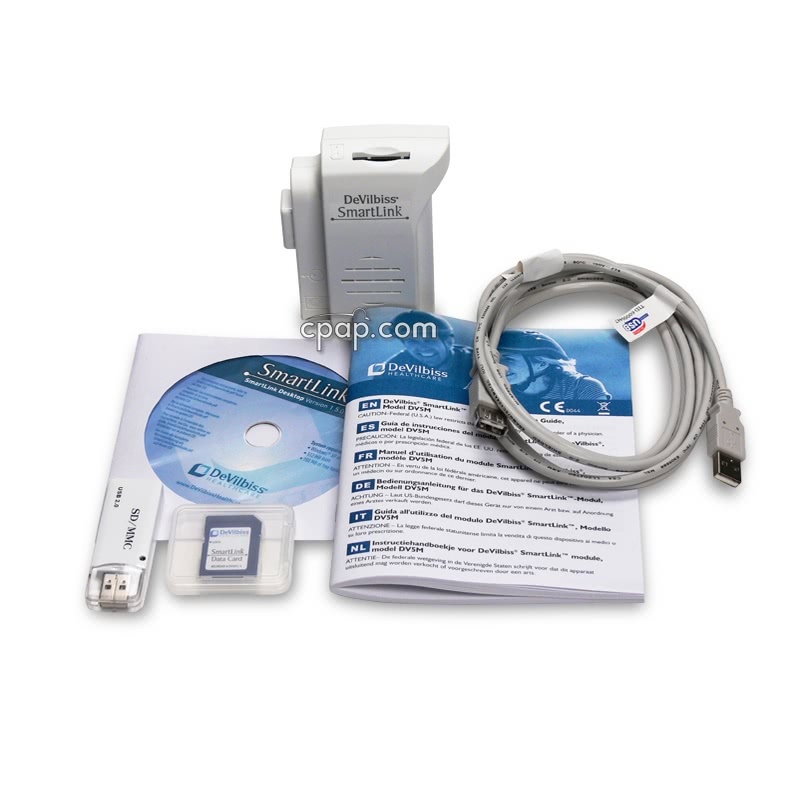 If your computer does not come with a serial port, CPAP.com provides a USB male to Serial male (9-pin) DB-9 RS-232 adapter that allows users to update their IntelliPAP CPAP machines through your computer's USB port. If you do not have a serial port available, then you will need to buy both cords together: IntelliPAP Firmware Upgrade Cable with USB-to-Serial PC Adapter. 1. If a DV5M SmartLink Module is attached to the CPAP, be sure to remove before continuing. 2. Connect the CPAP to a free serial port with cable DV51D-615 and apply AC power to the CPAP device. 3. Close your web browser and all other open applications. 4. Run the DV5xFirmware.exe application Note: No files will be permanently installed on your computer. 5. The software will automatically search the computer serial ports for a supported CPAP device. 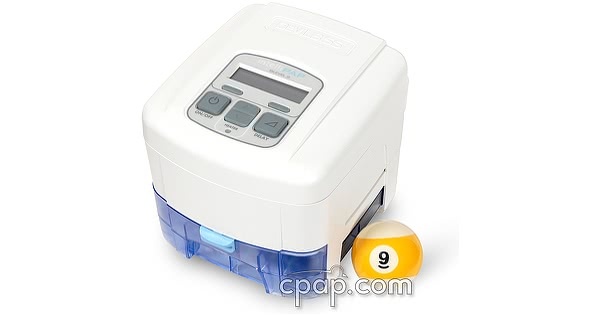 If found, the "Connected CPAP Details" section will show information about the attached device. 6. Click the "Start" button to begin the firmware update. The progress bar and status messages will be updated as the firmware update proceeds. Wait for the update to complete before using your computer. Do not run any other applications during the update. 7. When finished, the software shows the results on the screen (OK or Fail). If the update was successfully completed, you can close the program by clicking the "Exit" button. If the update fails press "Start" to try again. The IntelliPAP Bilevel can store up to 90 days of therapy data, and up to 3 years of usage data. If an SD memory card is used to retrieve data from the machine it must be a file format of FAT16. CPAP.com offers this card: SD Memory Card for IntelliPAP Machines as an option. SD cards with other formats, such as an SDHC card formatted for FAT32, will not work with the IntelliPAP machine. A bacteria filter will not install directly to the air outlet port on the IntelliPAP Heated Humidifier. The filter is too bulky and there is not enough space. IntelliPAP humidifier owners can order the FlexiTube Angle Adapter for CPAP and BiPAP Machines to provide a spacer between the humidifier and the bacteria filter. 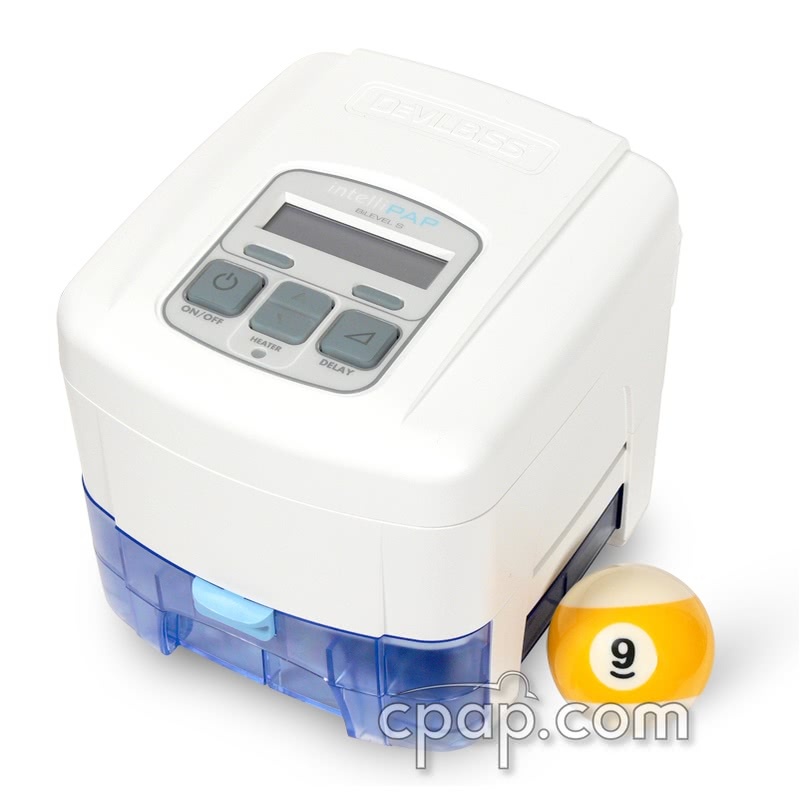 Your CPAP hose can then fit onto the other end of the bacteria filter. DeVilbiss offers an industry leading 5 (five) year manufacturer warranty on IntelliPAP machine orders placed on or after 2/15/2012. 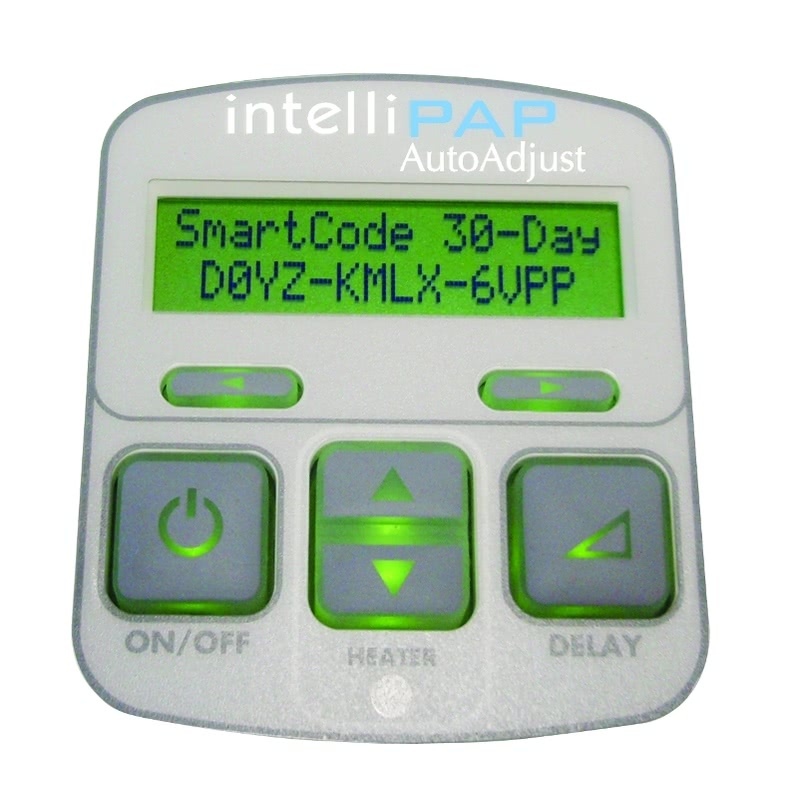 If the order date for an IntelliPAP machine is 2/15/2012 or later it carries a 5 year manufacturer warranty. If the order date for an IntelliPAP machine is 2/14/2012 or earlier it carries a 3 year manufacturer warranty. DeVilbiss offers a 3 (three) year manufacturer warranty on IntelliPAP Humidifier orders placed on or before 2/14/2012. 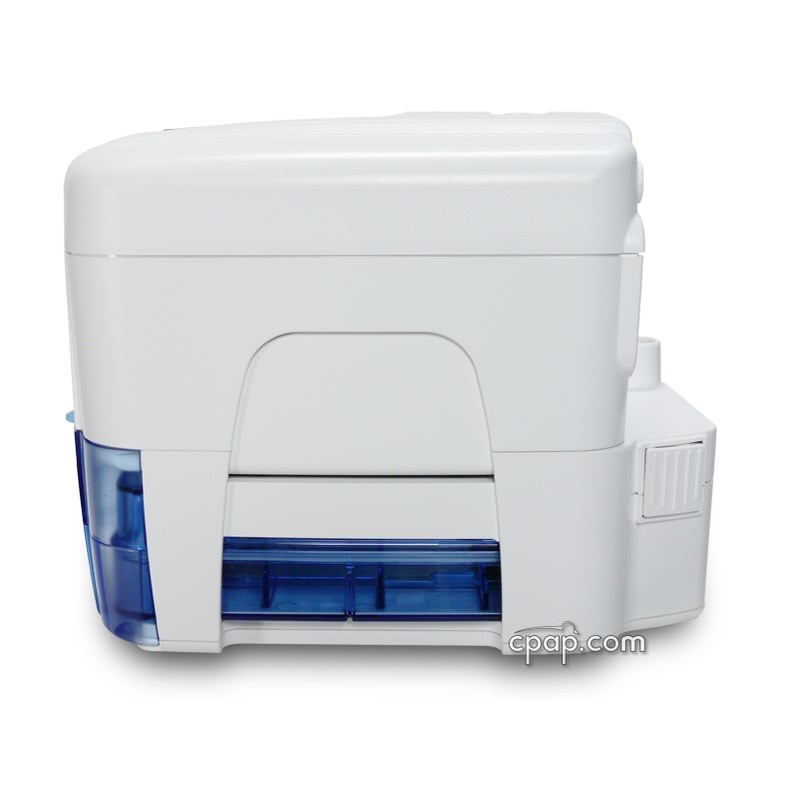 If the order date for an IntelliPAP Humidifier is 2/15/2012 or later it carries a 5 year manufacturer warranty. 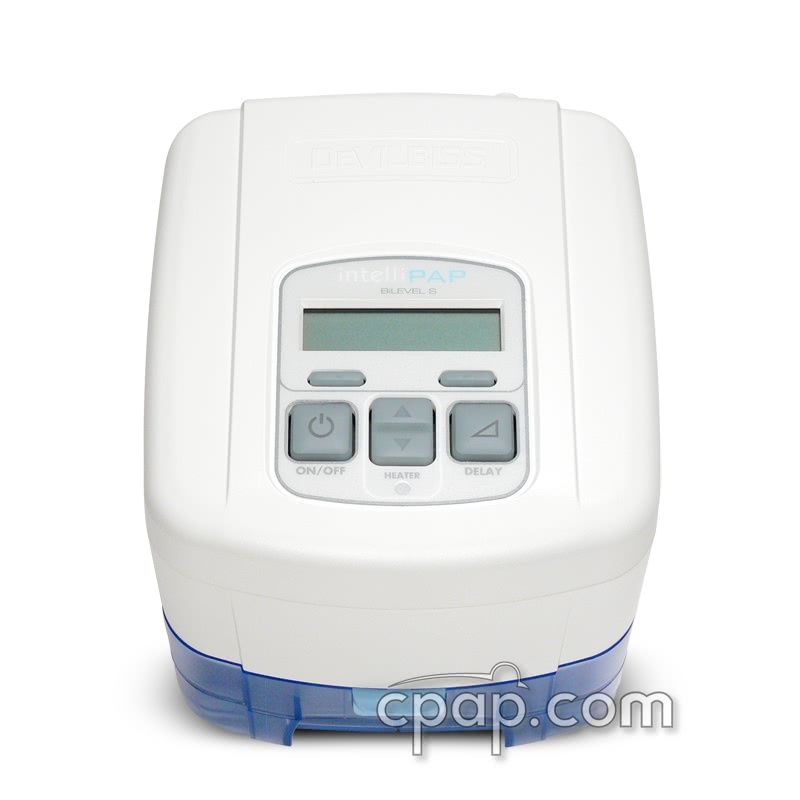 If the order date for an IntelliPAP Humidifier is 2/14/2012 or earlier it carries a 3 year manufacturer warranty. E01 Read Setting Error. Stored prescription settings are corrupted. Unit is in fail-safe state (blower off) when this error displays. See Troubleshooting and Service Instructions to correct fault, or return unit for repair. E03 Motor Error. Unit attempts to drive the motor, but the blower is not spinning (zero motor speed). See Troubleshooting and Service Instructions to correct fault, or return unit for repair. E04 Locked Rotor Error. Average motor speed is low, while the motor current is high, for several seconds. See Troubleshooting and Service Instructions to correct fault, or return unit for repair. E06 Motor Runaway Error. Motor speed is high and the pressure and total flow are low (close to zero) for a fixed period of time. See Troubleshooting and Service Instructions to correct fault, or return unit for repair. E07 Motor Fault Error. The motor control chip fault output goes active low for a fixed period of time. See Troubleshooting and Service Instructions to correct fault, or return unit for repair. EA0 Internal DataFlash Memory Failure. Internal DataFlash memory not recognized or not working. Unit must be returned for service. Critical error that will show up on the PAP LCD display. PAP Still functional. EA1 Master Time Stamp Not Advancing. Real time clock not initialized or has failed. Unit must be returned for service. Critical error that will show up on the PAP LCD display. CPAP Still functional. The DeVilbiss IntelliPAP system operates automatically between 110v and 240v AC. When traveling either inside or outside the USA, there are no switches to switch or fuses to change. The machine will automatically sense what voltage is needed and set itself to run on that power. The IntelliPAP Series come equipped with a DC plug on the back of the unit. This allows the user to connect the CPAP to an external DC battery source. The IntelliPAP can be powered by plugging the 12volt DC Power Cord into a cigarette lighter plug. This is ideal for traveling by car, boat, or recreational vehicle that is equipped with a cigarette lighter plug. 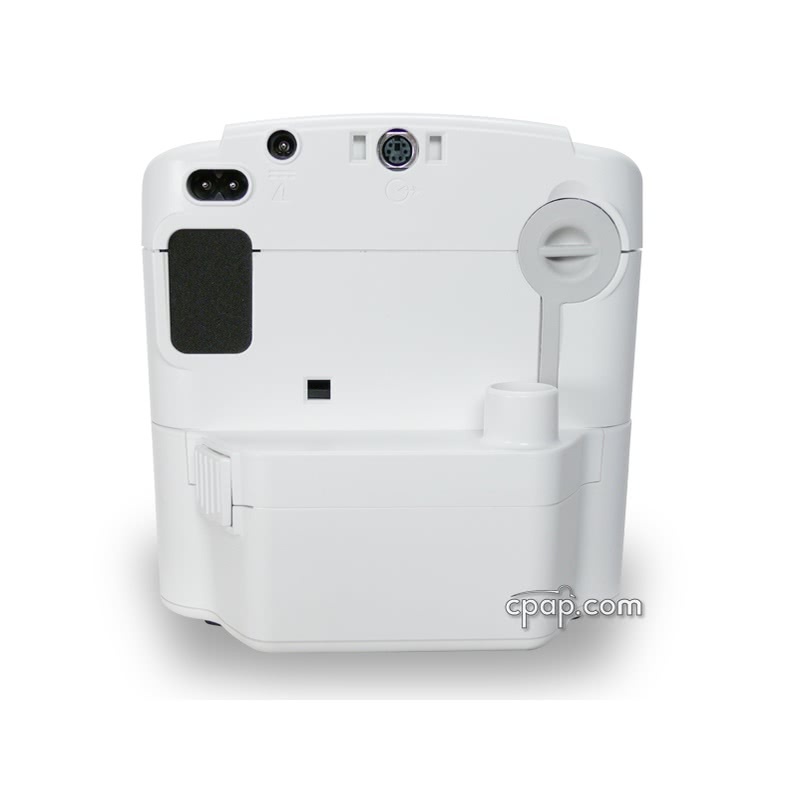 Because the IntelliPAP machines use a separate connection for AC and DC power, they can be set up in a battery backup configuration. The AC power cord is plugged AC power source such as a wall outlet, and the optional IntelliPAP 12 Volt DC Power Cord is plugged into a DC power source such as a battery. 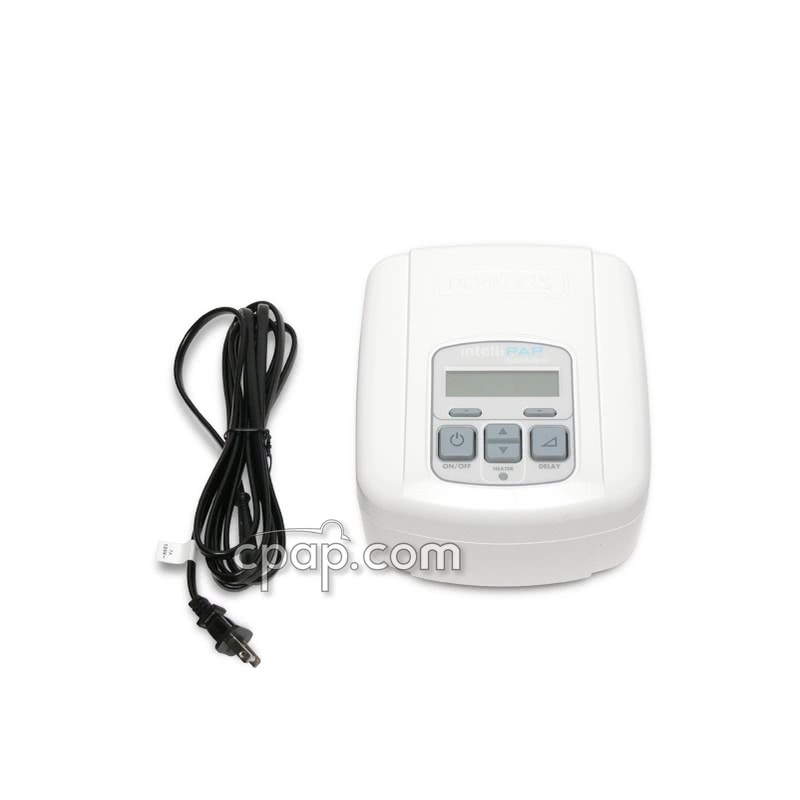 The IntelliPAP will use the AC power source when available, otherwise will convert to the DC power source, without any interruption in therapy. If the AC power source becomes available again, the machine will revert back. Weighing in at only 1.7 pounds the Freedom Battery is a terrific option for travel. Plus, the Freedom with a DC cable and connector peg suitable for use with the IntelliPAP Bilevel so no need to purchase a separate DC cable. This lithium ion battery meets UN Manual Test and Criteria requirements for travel. PLEASE NOTE: The IntelliPAP BiLevel connects to the Freedom Battery using Tip "J", which is included with the Freedom Battery.